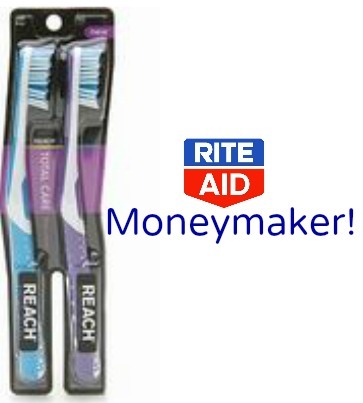 This week at Rite Aid, you can get a FREE Reach toothbrushes! There is a Buy 1, get $2 Up Rewards on Reach products plus multi-packs are on sale for $2.99 and a manufacturers coupon is available for $2 off as well. When you combine all of these deals and coupons, it makes for a $1.01 Moneymaker! You can never have too many toothbrushes for both your family and some in case guests come to visit and forget their toothbrush! You can always donate them or pack them in Operation Christmas child boxes too! There is a limit of 2. See more Rite Aid deals.